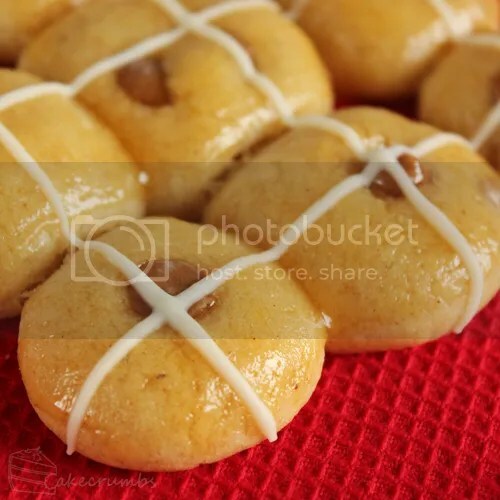 Easter is all about the hot cross bun in this household. But there's only so many batches of the lovelies I can make in one Easter. I decided it was time to approach it from a smaller angle. 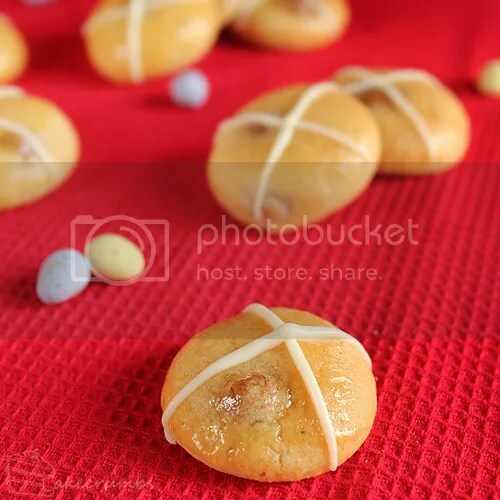 These cookies take all there is to love about the hot cross bun and wraps it into one bite-sized piece of crumbly goodness. 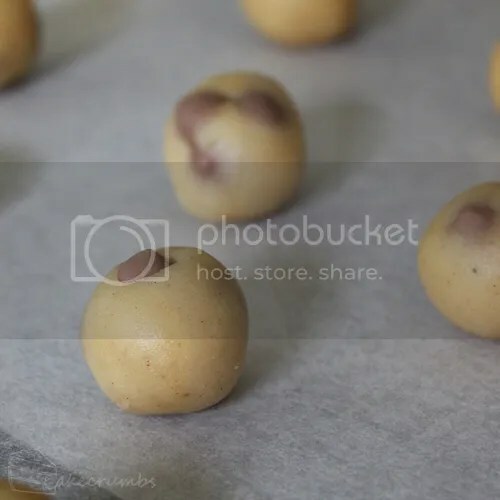 The cookies begin with a regular cookie dough that's been spiced up with a little cinnamon, nutmeg and ginger. You could add sultanas here if you desire, but since we don't like them I went for choc chips instead. I soon discovered that I didn't have any of them lying around the house (that, or I've misplaced them in one of the three cupboards that house my baking supplies) so I used these caramel chips instead. 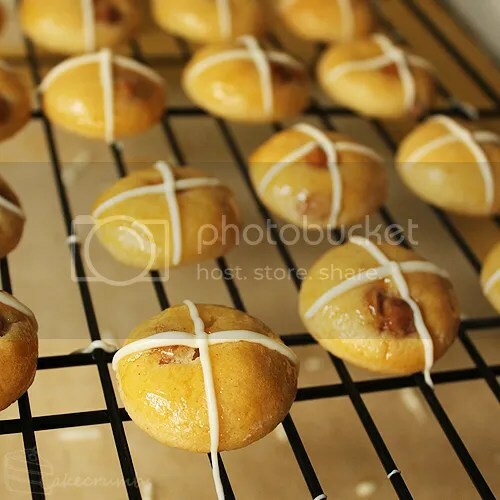 Once they were baked I brushed them with a little apricot jam to give them the glazed look of hot cross buns. And then it was time for crosses. I used white chocolate for these. But if you're prefer the tear-away look the buns have, you can bake them a little closer together. I made a small batch of those. You could probably place the dough even closer together than this — I was totally experimenting here. As the biscuits spread they'll run into each other just like hot cross buns. Then you get to pull them apart. 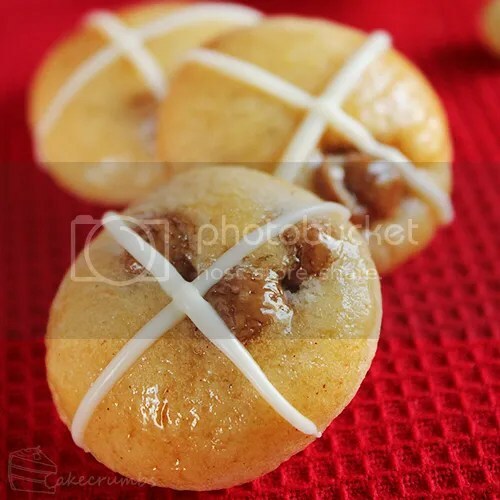 Whichever way you bake them, they're sure to be a hit this Easter. We've had to exercise a lot of control to stop from eating them all before we share them with the rest of the family on Sunday. Only a day and a half to go. I'm sure we'll be able to resist. Preheat oven to 160°C (140°C fan-forced). Grease or line baking trays. Cream butter and sugar until light and fluffy; beat in egg and vanilla. Stir in spices and choc chips. Stir in half the flour, all the milk, then half the flour. Knead dough until smooth (about a minute). 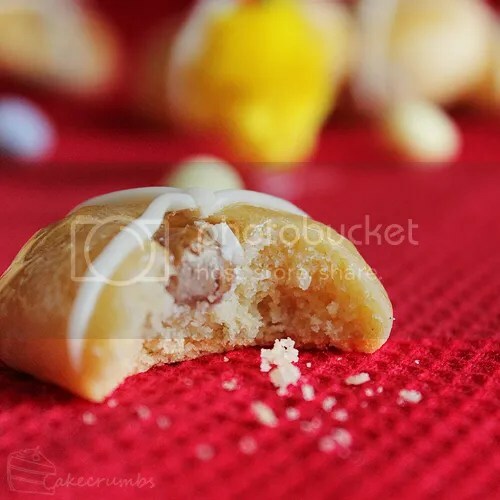 Take tablespoons of the dough and roll into balls. Place on trays, allowing room for spreading. Bake for 12-15 minutes. Meanwhile, heat jam in a small saucepan; strain through fine mesh sieve. 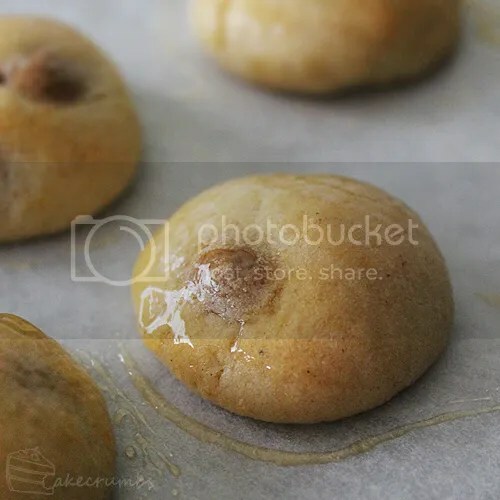 When cookies are removed from the oven, brush the tops with warmed jam. 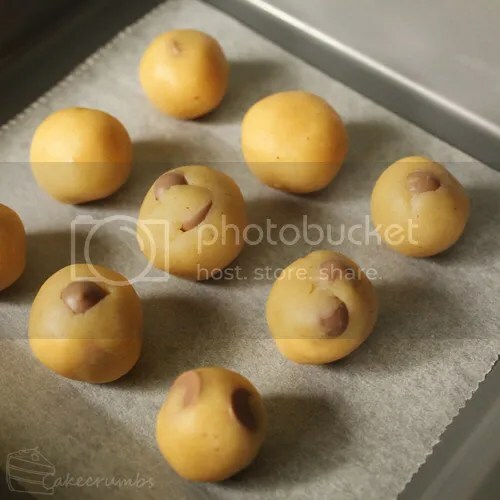 Allow cookies to cool completely on trays, then transfer to a wire rack. Melt white chocolate; transfer to a small piping bag or a snap-lock bag (cut a small piece of the corner off to make a 'nozzle'). 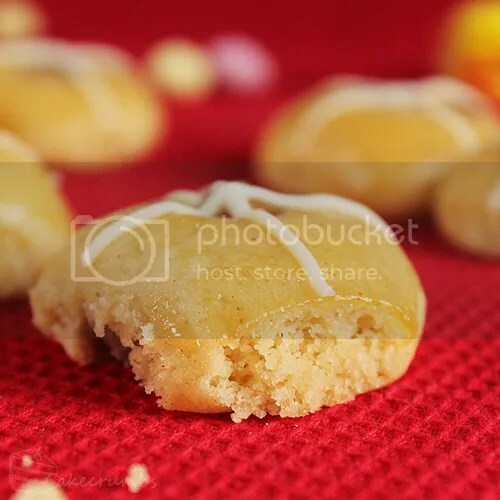 Pipe crosses on the tops of the cookies. These are so tasty and irrestible. I’m really doubting there’ll be many left by tomorrow morning.